Ryan Lochte, 12-time US Olympic Medal Swimmer and current world record holder in the 200 individual medley, has partnered with Baby Otter Swim School in its mission to make Florida a ZERO-drowning state. Founder Marlene Bloom initiated Baby Otter Swim School, a state and nationally accredited drowning prevention program, more than 40 years ago when she couldn’t find a program for children under the age of three. The traveling swim program now offers personalized instruction in the comfort of your own pool. As an educator, Bloom created the proprietary five-day Turn, Kick, Reach program, the cornerstone of their lifesaving swim lessons. York, became involved when she found her 17-month-old child at the bottom of the pool. She was able to save her and decided to make life saving her life’s passion. Along with being the official spokesperson, Lochte will also own the Gainesville, Florida territory for Baby Otter Swim School, where he will be training for the 2020 Summer Olympics. “We are thrilled to be involved with Ryan Lochte who has always been our favorite Olympian. His passion mirrors ours, which made this partnership extraordinary,” stated Bloom. 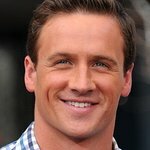 Lochte and Model Kayla Rae Reid are new parents of Caiden Zane Lochte. Though Lochte is very comfortable around water, his son’s birth made him realize that easy access to water in Florida presents a real risk for drowning. Olympic Swimmer Lochte is not the first celebrity to team with the school. Hall of Fame Baseball Player Andre Dawson became involved with Baby Otter in 2006 when Baby Otter taught him to swim at age 50. His personal success in five days prompted him to become a national spokesperson, promoting lessons for adults who were afraid to swim. Currently, he serves as chairman of the non-profit Baby Otter Scholarship and Education Fund Inc., created so no child is ever turned away, regardless of ability to pay. “Stars like Gwyneth Paltrow, Barry Gibb and Rondell White have personally used Baby Otter for their children. Now, we will be teaching the son of one of the most decorated Olympians in the world in our new Gainesville location,” said Bloom. Baby Otter Swim School is a swim and aquatic safety school for children and adults emphasizing the five-day Turn, Kick, Reach program. For more information on franchise and license opportunities or about swim clinics throughout Florida, call 888-SWIM-KID or email info@babyotterswimschool.com.